Two embroidery samples, one with linked quatrefoils, the other showing two bands at right angles. The latter have a chevron design and small diagonal marks. 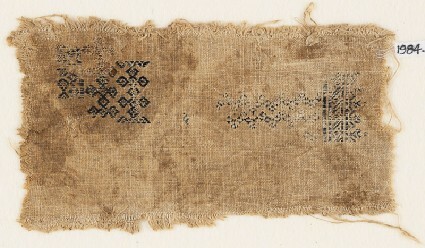 The embroidery probably was part of a sampler. It is very deteriorated.